South Jersey in the 1980s: A distinctive subculture more akin to the south or midwest than anything on the east coast. Francis, a defrocked college student who has made a mess of his scholastic career and his life, finds himself back home and employed at a subterranean, TWILIGHT ZONE-like gas station–a place of outlaw bikers, ex-Marines, and inebriated tourists. And through his eyes, this distinctive subculture begins to slowly vanish: the louche resort of Atlantic City morphing into its soulless casino incarnation; the farmland and mom-and-pop stores giving way to development. Published by For Beginners in 2016 and with illustrations by Lily Prince, this colloquial–yet erudite–volume sums up one of the most influential art movements in history and the forces that shaped it. Featuring a hitherto-unpublished essay by the great David Amram. 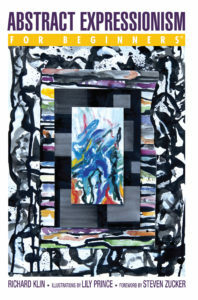 Profiles of 15 creative forces discussing art–of all stripes–in the service of social justice. Featuring one of the last interviews with the late, revered Howard Zinn. Also: Pete Seeger, PHILADELPHIA screenwriter Ron Nyswaner, Jacqueline Woodson, Yoko Ono. Who else? Buy the book and find out. 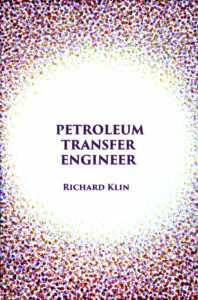 PETROLEUM TRANSFER ENGINEER is available on Amazon and can be purchased at your favorite bookstore. Or even your not-so-favorite bookstore. Or even a bookstore that, at best, only inspires lukewarm feelings.